Foot types can be divided into three major groups: the flat foot (Pes Planus), the high arched foot (Pes Valgus) and the normal to low arched foot. A true ‘flat foot’ is very rare. In fact, less than 5% of the population have flat feet i.e. a foot with no arch present whatsoever and the entire bottom surface of the foot being flat on the ground. 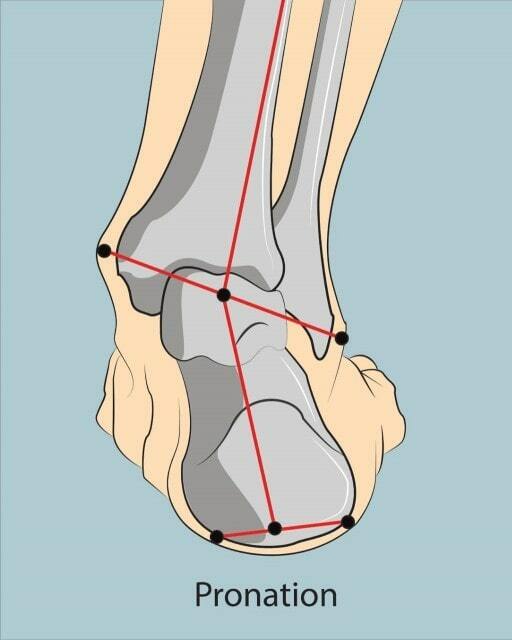 About 5-10% of people have a high arched foot. The majority of the population have a normal to low arch. Even though the arches appear to be normal most of us suffer from over-pronation during walking, running and standing, due to the hard, flat unnatural surfaces we walk on, combined with wearing unsupportive footwear. With every step we take the arches flatten and the ankles roll inwards. Pronation itself is not wrong because we need to pronate and supinate as part of our natural gait cycle. Pronation (rolling in) acts as a shock-absorbing mechanism and supination (rolling out) helps to propel our feet forward. Over-pronation occurs when the foot pronates too deep and for too long, not allowing the foot to ‘recover’ and supinate. Over-pronation hampers our natural walking pattern. It causes an imbalance and leads to wear and tear in several parts of the body with every step we take.